Taking time for what's really important in life. Ice cold beers, beach chairs and a beautiful summer day in Vacationland. Maine is known as Vacationland and with good reason. The state is blessed with a beautiful coastline, dark green forests and woodlands, small towns with friendly people, and over 6000 lakes and ponds. People come from all over the world to enjoy the recreation, arts and entertainment, sightseeing, wildlife, and of course, Maine lobster. In summer our population swells as people fly, drive and boat in for a weekend getaway, a traditional one to two week vacation, or to spend the whole summer at a family camp or cottage on one of the many lakes that are the result of melting glaciers or dammed up rivers. In fact, we first came to Maine as tourists ourselves, awed by the remarkable beauty and the abundance of recreational opportunities. We decided to make Maine our home after visiting for several years. Tourism peaks when the leaves of millions of Maine’s trees turn shades of red, yellow, orange and brown sometime around the middle of October. Little do folks “from away” realize that winter in Maine provides a different kind of beauty and a whole new set of recreational activities. When the lakes freeze over and the snow begins to fall, skis, sleds, skates and snowshoes come out of storage. Ice shacks dot the lakes. Locals bundle up and journey out in the winter wonderland that is Maine. 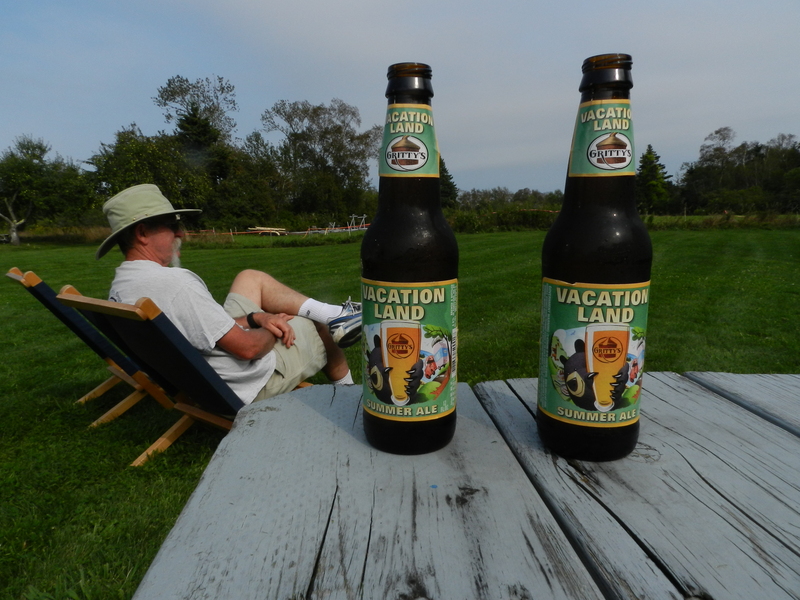 We feel fortunate to be able to enjoy Vacationland all year round. This entry was tagged fall colors, Maine, recreation, snow, tourists, Vacationland, wildlife. Bookmark the permalink.